PHUKET: Red light cameras at five of the island’s main traffic junctions were put into operation yesterday to catch drivers who break traffic laws. At 10am yesterday (Feb16) at Phuket City Police Station, Governor Chockchai Dejamornthan together with the commander of the Phuket Provincial Police Maj Gen Teeraphol Thipjaroen and Vice President of the Phuket branch of the Thai Road Safety Network Mr Wiwat Sritamanot joined a press conference to launch the red light cameras provided by the Safer Roads Foundation. Gov Chockchai said, “We want drivers to change their driving habits and reduce the amount of drivers who break traffic laws. This is especially the case when it comes to motorcycle riders not wearing helmets. We want to make Phuket 100% helmet wearing. “Moreover, the new red light cameras will also be part of out Phuket Smart City campaign,” he said. “In six months time we will also have technology which will allow us to check vehicle licence plates and driver’s faces as they pass through the Phuket Checkpoint. We are also to receive a budget of B131 million to help us expand Phuket Checkpoint to eight lanes and this will be finished in October,” he said. 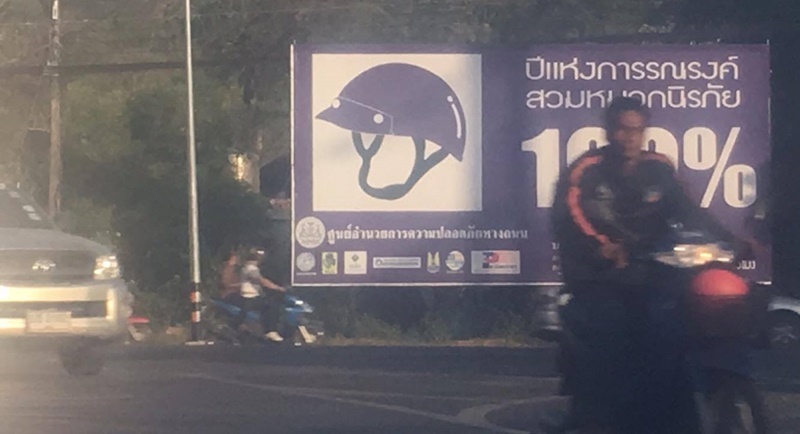 Maj Gen Teerapol added, “Between 1997-2007 there were approximately 200 people dying on Phuket’s roads per year, and the number of road injuries was 4,952.55 per 100,000 of the population. “Between 2008-2015 the number of deaths was reduced to around 100 per year,” he said. “Running red lights is the main cause of accidents, but unfortunately there are not enough police officers to catch all of the law breakers so we want to reduce accidents by using these red light cameras we received from the Safer Road Foundation,” he added. The junctions where the red light cameras have been installed are: Khao Lan on Thepkrasattri Rd in Srisoonthorn, Chao Fa Tawan Tok – Khwang Rd in Wichit, Sri Gor in Kathu, Kamala and Gormaratat in Phuket Town. Please see The Phuket News’ front page story from September 2016 regarding the installation of the red light cameras here. ematt, this is the first time you have ever said anything sensible in a comment....I mean the first two words of your comment anyway. The rest is nonsense, as usual. @ematt:You are right.It is an insult to the developed world to make decision without consulting experts like Kurt. Stupid Thais! I don't understand -  why do they make these decisions  without checking with Kurt, Ben, and Rorii first? There are enough police officers on Phuket. It is just police job priority setting that has to be adjusted. But....? Who starts to do it? Some one has to 'order' it. Police priorities on Phuket are well known. 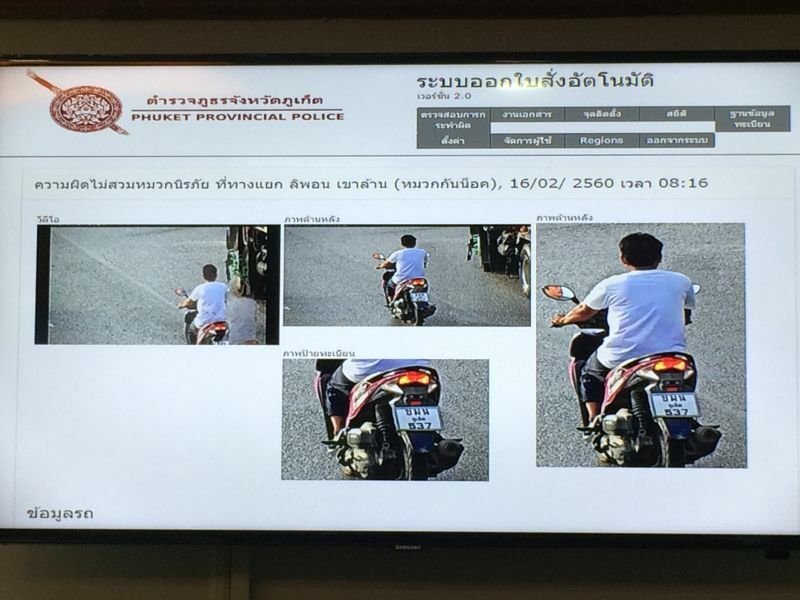 Police should be using mobile speed cameras to catch all wrongdoers with Police Squads roaming all Phuket roads with fixed cameras on their helmets, motorcycles or cars. It will be cheaper and more effective to reduce accidents and thefts. Many thanks for informing the people where the red cameras are located. At these locations we go to drive as very traffic law obeying persons. A bit further we will drive 'Phuket normal' again. So, due to police info location cameras they not catch traffic violators. Why Phuket Police always inform public on forehand where and what they do?